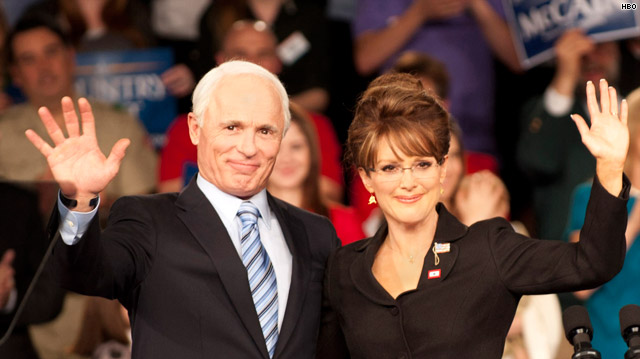 Ed Harris as John McCain and Julianne Moore as Sarah Palin in Game Change. When Aaron Sorkin was first developing The West Wing, he was advised repeatedly that shows about politics don’t work. It’s one of the more interesting ironies that even though pundits are fond of dismissing political machinations as “inside the beltway” minutiae that make no difference to the lives of ordinary people, political stories, whether they are Mr. Smith Goes to Washington, All the President’s Men or JFK, are among the most compelling dramas out there. Why, might one ask? There is something Shakespearean in narratives set amidst the pursuit of, or the exercise of high office – they are our latter-day tales of the courts of kings and queens. In fact, Game of Thrones, HBO’s award-winning fantasy series, wins praise not for its dragons and magic and special effects but for the plights of its very human characters caught up in the drive for political power. Indeed, “HBO” and “Game” would seem to be a winning combination, as exemplified by the premiere this past weekend of Game Change, the Jay Roach-directed story of the McCain-Palin presidential campaign of 2008. In today’s climate it’s difficult to put politics aside when looking at a movie like this, but the script (by former Buffy the Vampire Slayer actor-turned-writer Danny Strong, who also wrote Recount) jettisons ideology to a large extent. You don’t really get the sense from the movie of what McCain and Palin were running on or how they differed from the successful Democratic ticket. The story focuses instead on what made The West Wing and the best political movies work – the human element. You don’t have to agree, even slightly, with the positions of John McCain or Sarah Palin to enjoy this movie – you can be the staunchest, conservative-loathing left-winger and still relate to the weary McCain’s fading hopes to be President, the suddenly infamous Palin’s desire to prove herself on a national stage and seasoned advisor Steve Schmidt’s drive to win. There is an honour to these people when viewed in their private moments (fictionalized as they may be here) and a humanity that we come to realize is stripped away under the lens of 24-hour news coverage, rendering them less people than caricatures defined at the whims of others. The sublimely talented Julianne Moore is an eerie dead ringer for the infamous Alaskan governor, nailing her look, her movement and her oft-imitated voice, and showing us what made average people gravitate to her in the first place. It was easy to snicker at Tina Fey’s “I can see Russia from my house” line back in the day; much less so to see the film’s Palin experiencing being pilloried night after night to raucous laughter. The always watchable Woody Harrelson is excellent as Schmidt, who is instrumental in getting Palin on the ticket over McCain’s initial preference of Joe Lieberman, and who watches like Doctor Frankenstein as his “creation” spirals out of control, only to try and salvage what he can of the party as the campaign begins to go off the rails. In one of the final scenes, as he angrily tells Palin she will not be allowed to give her own concession speech on election night, he has come full circle, a believer in and defender of the traditions of American democracy, after living the consequences of trying to win through cynical political calculations alone. Asked by Anderson Cooper at the end whether he would have put Palin on the ticket had he the chance to make a different choice, Schmidt only comments with resignation that in life, you do not get do-overs. As the real-life Sarah Palin maintains her public presence and muses to the press about jumping into the 2012 Republican race should Mitt Romney not achieve a solid lock on their nomination, the ultimate lesson of Game Change rings loudly – the reason why, contrary to popular (or at least entertainment executive) belief, political stories work. John McCain, Steve Schmidt and the Republicans looked at Barack Obama’s effect on his supporters and concluded that rock star charisma was enough to win. 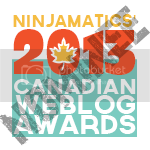 What they and the world came to realize in 2008 was that it is not – gravitas matters more. At its heart Game Change isn’t about wonkery and punditry and polls; what it does is put the lie to the old saw that anyone can be President – or, perhaps more accurately, that anyone should be President. Some people just aren’t up to the job, and that’s nothing against them. Sarah Palin certainly wasn’t, and there is a hint of classical Greek tragedy in the tale of a woman given such an enormous opportunity only to see it drift away because of her own failings. I’m a proud liberal – I cannot condone Palin’s politics, how she conducts her life or how she would choose to impose her worldview on others, but I can empathize with the loss of a dream I didn’t realize I even wanted. We all can. That’s why Game Change works, and why it can take its place among the best political stories – because of the human factor.